Ring Size: 18 Gauge 8 MM, Flat Pin Riveted ring with alternating solid ring. Finish: Three Finish to Choose from. Add Brass Trim for superior look. 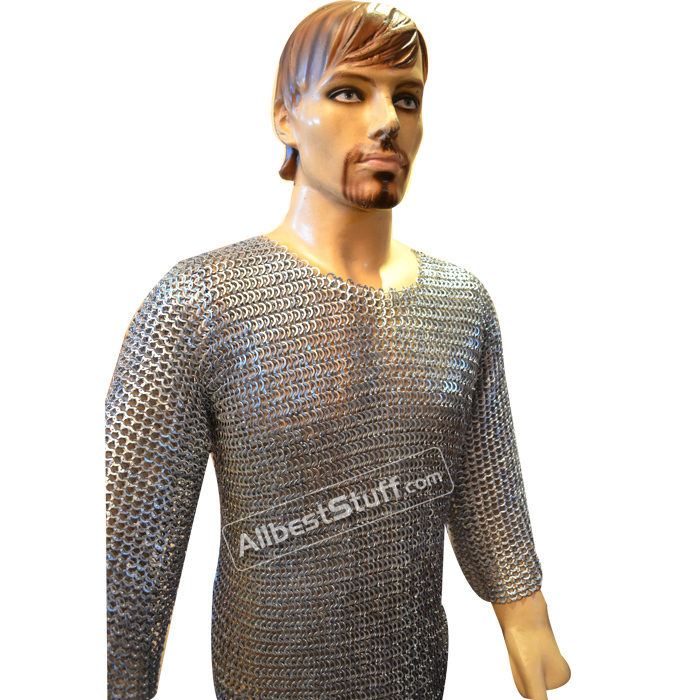 Add a riding split to this hauberk for comfort leg movement. Add Mail Mittens, Leather OR Chain Mail based.